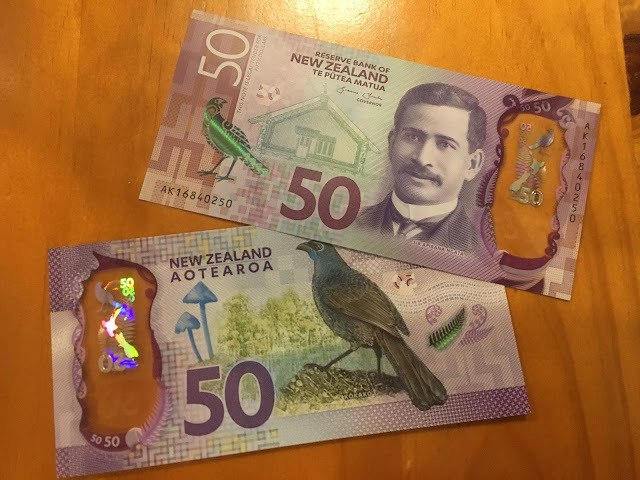 New Zealand recently released a new set of style of bank notes. It wasn't until I actually received some $50 notes, that I realised how I very rarely see actual physical cash any more. I remember reading in my teens (unfortunately many years ago) that cash would be replaced by little plastic cards and everyone pooh poohed the idea, thinking no way. And yet it has happened. Hence the reason for this photo. AlsoI think the bank notes look pretty cool.